Dr. Tara Smith is a professor of philosophy at the University of Texas at Austin. 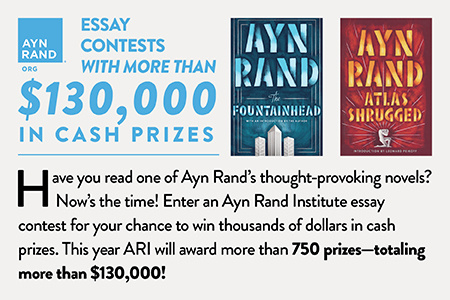 She is the author of Moral Rights and Political Freedom, Viable Values: A Study of Life as the Root and Reward of Morality, and Ayn Rand’s Normative Ethics: The Virtuous Egoist. Dr. Smith currently holds the BB&T Chair for the Study of Objectivism, as well as the Anthem Foundation Fellowship. In her latest book, Judicial Review in an Objective Legal System, Dr. Smith presents an innovative approach to interpreting law. Defying the convention and missteps of prevailing theories, she crafts an approach tailored to the mission of a proper legal system and the demands of true objectivity. The Undercurrent’s J.A. Windham had the honor of interviewing Dr. Smith to give readers a first flavor of the ideas presented in her new book. 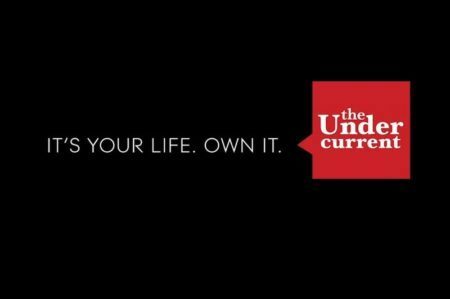 The Undercurrent: Your new book takes on a complex, yet crucially important topic. What inspired you to write it? Dr. Smith: I didn’t set out originally to write a book in this area. Several years ago, after concentrating for a long period in moral philosophy, I just had an appetite for something different, and there was this bug in the back of my mind since grad school, initially triggered by the controversial nomination of Robert Bork to the Supreme Court: how should judges interpret the law? I’d realized it was an important question, and I wasn’t fully satisfied with the different answers I was hearing, but I was working on my dissertation and didn’t have time to mull it through. So after finishing my second book in moral philosophy, I decided to turn back to it, and it proved really fertile ground for thinking about law itself more deeply and about the demands of objectivity, in practice. From working on the question, I gradually realized that I would need to ground my answer in that larger context—thus, the book. TU: You start with a section entitled “Who cares?” In general terms, why should we care about judicial review and does it have any real impact on our lives? Dr. Smith: Well first, I’ll just note that we are in presidential campaign season—a time when people reasonably wonder about the judicial philosophies of the person who will occupy the Oval Office and enjoy the power of nomination to all federal courts. With some fairly elderly Supreme Court justices, Ted Cruz’s proposals to “rein in” judicial power, and others trying to circumvent rulings they dislike (about campaign finance, gay marriage, abortion, etc. ), it’s an important time not simply to inform oneself on these issues, but to penetrate beyond the clichés and false alternatives that dominate the debate over judicial review. For that, I think, the book’s deeper probing of truly objective law is quite helpful. But more fundamentally, readers should care because the stakes are huge. We are talking about the law—about government power, about power to force you to do things you don’t want to do. Now that’s a legitimate power. But if we’re to have a just government that treats people as they deserve, that government must be constrained to do only what it needs to do, to do its job. The government’s authority is limited to that. Courts, through judicial review, when people challenge certain applications of the law, play a crucial role in keeping the government limited to its authorized activities. Judicial review is designed to make sure it is the law that governs, and not anything else. TU: Antonin Scalia is perhaps the most widely-known Supreme Court justice, and is seen by many as an authority in this field. What’s your estimation of Scalia’s approach to judging? Dr. Smith: It’s fatally flawed. There are isolated lines to like in some of his opinions, but there are far more serious errors—damaging errors. One of the schools of thought that I critique at length in the book is “Textualism,” the technical name for Scalia’s view. It basically holds that the meaning of the law is contained in the text—wholly contained in words. So you just have to look at the text and follow it—that’s all there is to it. Courts’ work is easy (he’s actually said that). Now, there is an initial appeal to this, especially when contrasted with subjectivism in many of the alternative schools. But once you scratch the surface, you realize that you can’t “find” meaning within the text itself. Meaning isn’t hidden in words. Meaning is contextual. That’s not a ploy for manipulating the law; it’s a fact about language. The very same words can have different meanings, depending on the context. If I say to you “cut this” and hand you a birthday cake with a big knife, I am telling you to do something very different than I am if I stand you out on the front lawn with a lawnmower, or if I sit you down with a pair of scissors and some paper, and say “cut this.” That’s just a simple example. The point is that part of language’s meaning comes from the context. Scalia’s Textualism fails to appreciate this. His view is a form of intrinsicism. And it collapses into subjectivism—as I explain in the book. TU: Let’s turn to your own theory, then. A distinctive feature of your approach lies in your portrait of objectivity, which you say is a method for “getting reality right.” What are some of the core features of objectivity, and why should a legal system be concerned with it? Dr. Smith: We seek objectivity in a range of areas. I draw on the paradigm of the scientific method to explain the way in which, at its core, objectivity does revolve around the effort to “get reality right.” Sometimes, the object we want to “get right” is physical—we want scientific researchers to be objective in testing pharmaceuticals or medical treatments. But we also recognize that a historian, a journalist, a juror, a person grading students or hiring workers can be objective or non-objective. He can reach his conclusions and make his decisions for good reasons or for bad ones—on grounds that don’t truly help him understand the nature of the object in question. Will this guy be good at the job, if I hire him? Did this person commit the crime? The point is, there’s a reason to be objective—and that helps us understand what objectivity is. The aim of objectivity is to reach good answers to our questions, to get the right answers—about the efficacy of the drug, the ability of a person to do good work, etc. Now in law, the “reality” to get right isn’t physical, it’s the law. Courts must figure out what the words of the law mean, in their full context, rationally interpreted—and what uses of government power the laws do and don’t authorize. TU: You say that a proper legal system “has a job to do.” What job? Dr. Smith: To protect individual rights. That is the function of government. (A chapter in the book explains why.) A legal system, in turn, is simply the practical apparatus by which a government does its work. And the function of judicial review, as one crucial component of the legal system, is to get the law right. Again, that’s the relevant “reality” I have been talking about “getting right,” with objectivity. TU: In your book, you isolate two essential errors most often made by the major approaches to interpreting the law. What are those two errors, and why are they important? Dr. Smith: All of the dominant schools of thought on judicial review are confused about the authority of law or about objectivity—or both. I devote two chapters to the authority of law, both the legal authority and the moral authority, because of how crucial that is to the identity of law. If courts are going to figure out what the law actually is and what it means, they have to do that with the understanding that law could not possibly mean something beyond the authority that the legal system possesses. The authority of law and the identity of law are tightly entwined. Yet the major schools of thought tend to mistake the roots of laws’ authority, locating it in the will of the people, for instance, or in the thoughts of “the 1789 people,” and so on. The other critical mistake is confusion about objectivity. People simply don’t understand what objectivity is. So even the better theorists (better in some respects) who want to renounce subjectivist interpretations of law don’t do any better, because they can’t conceive of objectivity as anything other than: what a lot of people think. They have a thoroughly social, “primacy of consciousness” conception of objectivity—which proves no stronger a foundation for the genuine Rule of Law than their opponents’. TU: Do you think our legal system has strayed from its proper authority? If so, could you give some examples? We have lots of laws that are completely unjustified in what they actually restrict. “You have to pay this minimum wage.” “You have to buy this sort of insurance.” These aren’t objectively justified because they exceed the authority of the government. Financial regulations, such as the Securities and Exchange Commission’s regulating banking—these tend to be non-objective not only in the substance of what they do, but in the very formulation of the rules that they impose. Consider laws against “predatory pricing” or “predatory lending” or “price gouging.” Or so-called “clarifications” issued by administrative agencies that sometimes themselves run to hundreds of pages and that even experts in the areas claim are unintelligible. More examples (leaving aside the content of these laws): Anti-discrimination edicts that demands “diversity” (what does that mean?). Sexual misconduct law that forbids a “hostile environment.” Federal Communications Committee edicts about “indecency” on the air. We could go on at length. Yet another significant category of non-objective law is in legal officials simply refusing to honor the scope of their power—by exceeding their authority, or by failing to live up to the responsibilities of their positions. An egregious example is the Obama Administration’s series of unilateral suspensions of provisions of the Affordable Care Act without a legal basis. But there are numerous examples from several recent administrations—regarding the war on terror, the financial crisis a few years ago, military campaigns, Signing Statements—as well as instances of courts’ cowardly retreat from their duties, or legislatures punting their Constitutional obligation to other branches. TU: Contrary to popular thinking, you describe our Constitution as a “philosophical document” and even counsel judges to consult its values in rendering decisions. How could that be objective? Dr. Smith: That’s a good question, because there’s a lot of misunderstanding about this. Our Constitution is philosophical insofar as it is animated by certain philosophical principles and commitments. It’s directly designed to fulfill the ideals expressed in the Declaration of Independence, to put those into practice in how legal power is used. Truly, you couldn’t have a constitution that doesn’t reflect a philosophical view, even if you tried to. In writing and adopting a constitution, whatever choices you make regarding the powers of government at least implicitly take a stand on the proper relationship between the government and the governed. So there is no way for a legal system to be without a philosophy—and that philosophy includes values. For courts to be objective, then, when engaged in judicial review, they must be guided by the law that they find in its full context, understood in light of the principles and the commitments that animate it. It would be non-objective for judges to ignore those values. Now, the important thing that we have to be clear about is this: in saying that judges should consult the values in the Constitution, I am not saying they should consult their own personal values or beliefs or preferences about how to make the Constitution better. If they have beliefs about how to make the Constitution better, they should lobby for some constitutional amendments. But that’s a completely separate question. What I am saying is that judges need to be faithful to the Constitution, objectively understood, which means: full context, respecting the principles that give any of its particular provisions their meaning. TU: If you were President Tara Smith and had to nominate a judge to the Supreme Court, what virtues or qualities of character would you look for in your nominee? Dr. Smith: In terms of qualities, you need skilled conceptual thinkers. A justice has to be pretty bright. He doesn’t have to be a genius, but the kinds of questions judges address concern applying abstractions to specific circumstances. A judge is continually asking: “Is this a case of that?” “Is this police action a transgression of the Fourth Amendment?” “Is this an authorized ‘public use’ of the seized property?” My point is, judges are continually asked to come up with the right answers to questions of classification concerning sophisticated abstractions. So judges need to be very conceptual thinkers who can think in principle, who are really good at sifting the peripheral from the essential on an issue. Now you also need people who have a command of the legal system, people who have knowledge of the law and are well versed in its modes of operation. But more interestingly, on moral character: Judges need integrity. They need the integrity of self-discipline, to restrain themselves when they disagree vehemently with some of our laws. An objective jurist must refrain from imposing his values on the law. At the same time, and I think this is not sufficiently appreciated, an objective jurist needs to have the courage to issue the unpopular ruling that is actually faithful to the law. Given how soaked in non-objective laws and practices our legal system has become, he would be bucking the trends and endorsing some radically different ways of doing business. God knows the flack he would take for that. But if we are going to move back to an objective legal system, we need judges who have the courage to do that, to stand up for the Constitution’s convictions. Again, I think this is a woefully underappreciated value in objective judicial review. TU: So would you would say your ideal judge is “activist,” or not so? TU: Given all of this, some might still worry that your book is meant just for philosophers and legal scholars. Any final words on why the everyday reader should pick up your book? Dr. Smith: Admittedly, my book has a somewhat academic legal audience in mind. It’s not meant to be a “pop book” or a beach read. But truly, it is for anyone who seeks to think seriously about law. And you definitely don’t have to be an academic or have any legal training to follow the essence of its reasoning. While it gives careful analysis of certain issues, I definitely had in mind, while writing it, readers from various backgrounds, and I try to express things in very accessible terms. But let me return to a point from the beginning of our conversation, about the stakes. When we’re talking about how judges should interpret the law, we’re talking about understanding what the rules are—the rules that govern the government. So what’s at stake, again, is the government’s use of its coercive power. Even if you have good laws, objective judicial review is critical to those laws actually governing and our being able to enjoy the benefit of their protection. If judges misunderstand laws’ meaning, however, and deliver misguided rulings, then all of the benefits of good laws are utterly lost. And it’s flesh-and-blood individuals who suffer the consequences.